To create a human resource of organized, trained and activated youth, to provide leadership in all walks of life including the Armed Forces and always available for the service of the nation. The NCC is open to all regular students of schools and colleges on a voluntary basis. The cadets have no liability for active military service. The Senior Division of Army wing in our college has entry for both boys and girls. A-Certificate :- Cadets have to attend 75 % of the parades held during the year. B-Certificate :- Cadets have to attend 75 % of the parades held during the year. Have to attend at least one camp. 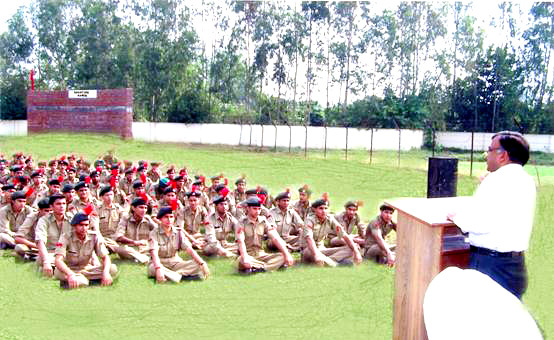 Have to appear in Theory and Practical Test conducted in NCC battalions every academic year. The theory part consists of special to Corps (Infantry) subjects, civil defense & first-aid. The practical test includes rifle drill, map reading, cleaning & maintaining of rifles and machine guns. 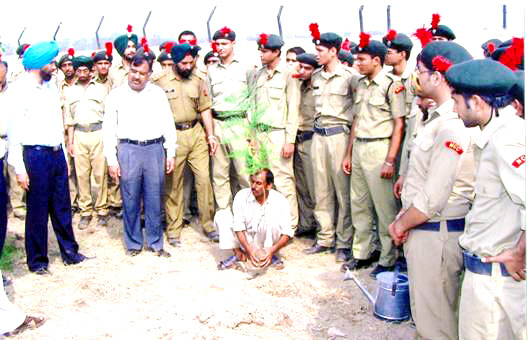 C-Certificate :- Cadet should have passed B-certificate of NCC. Similar to the B-Certificate, cadet should fulfill all the conditions in third year also. As far as the syllabus is concerned, it is same but the questions are tougher.